Leah Barclay received Concept Development funding to develop the first stage of Biosphere Soundscapes from the Regional Arts Development Fund. The Regional Arts Development Fund is a Queensland Government through Arts Queensland and Sunshine Coast Council partnership to support local arts and culture. Biosphere Soundscapes has been supported by Sunshine Coast Council's RADF funding for Green Art projects. This funding is to encourage and support art-in-nature based projects across the Sunshine Coast. 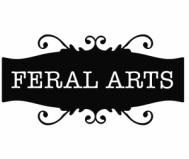 Feral Arts is one of Australia’s leading community cultural development companies. Feral Arts are innovators in the field of digital storytelling, community mapping and communications. They specialise in partnerships in the Arts, Community, Education, Environment and Health sectors, creating new ways to communicate and collaborate through stories. They build world leading community-focused digital storytelling software systems and explore the potential of emerging digital technologies in finding creative solutions to cultural and social challenges. Ear to the Earth, the environmental program of Electronic Music Foundation in New York, is about raising awareness of our natural and urban environments. Our logic is simple. Environmental art, in sound and image, provides us with a vibrant and engaging connection to the world. As we connect with the world, we'll better understand the state of the world. Biosphere Soundscapes has partnered with Ear to the Earth to delivery the project internationally. Thank you to Australis Noosa Lakes, our sponsor for the Biosphere Soundscapes Launch in July 2012.